The square-eyed petrolheads on Auto Trader’s editorial team are celebrating Halloween with this list of TV cars that have scared them at some point in their lives. The square-eyed petrolheads on Auto Trader’s editorial team are celebrating Halloween with this list of TV cars that have scared – or perhaps even scarred – them at various points during their lives. Some are real cars, some are fantasy creations, and others arguably aren’t even cars at all. But, between them, these wicked sets of wheels all left a major impression on the minds of at least one of our team. We’ll be the first to admit the Tucson isn’t a particularly scary car in itself – on the contrary, it’s a very decent family car – but what this Tucson did? Well, that’s a different matter. 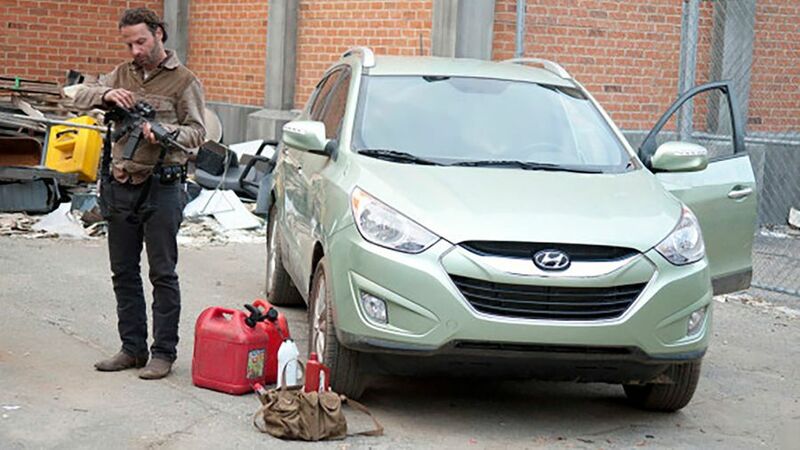 Featuring in three seasons of The Walking Dead – an American horror show based on a comic book – it did all manner of less-than-savoury things at the hands of some of the survivors of the zombie apocalypse. This included everything from transporting zombies and firearms, to being used as a murder weapon (first running over the head of a zombie and, later, being used as a makeshift battering ram to mow down scores of ‘walkers’). 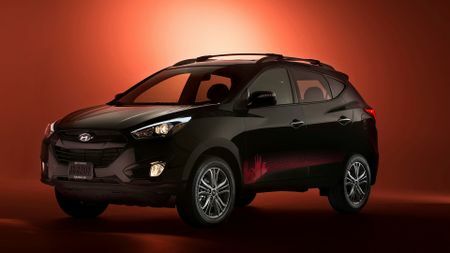 You might not think that was much to recommend the car, but Hyundai actually produced a special-edition model in the States to cash in on the show’s success. 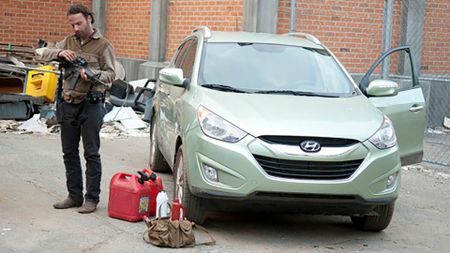 Painted in black, with red details, it came with a black leather interior, as well as... a Zombie Survival Kit. Search for Hyundai Tucsons on Auto Trader. 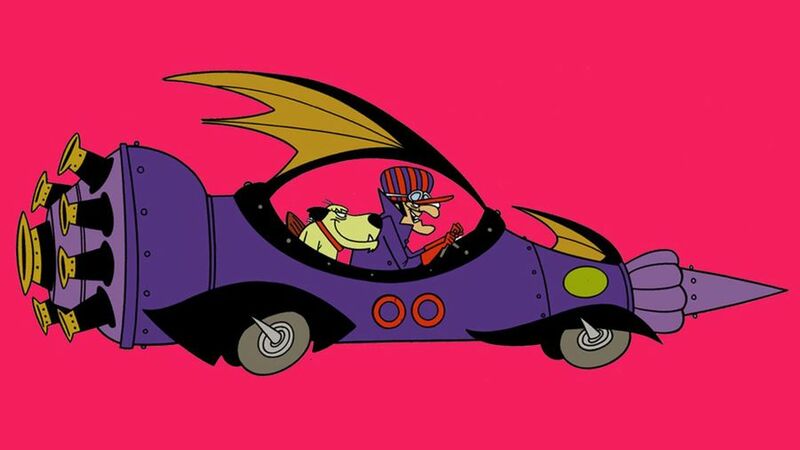 You may think you can’t get much less scary than a car designed to fight crime, but think again. 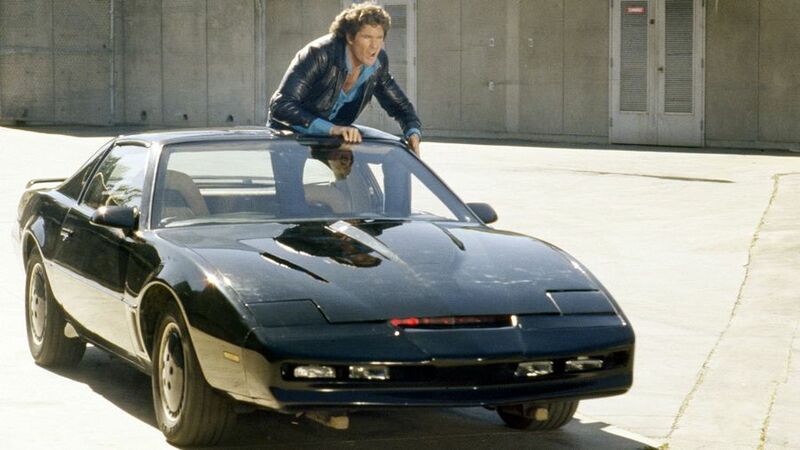 KITT is a car that can talk, drive itself, jump and withstand bullets. It was all black and had a sinister red bar on the front, which scanned left and right, allowing it to ‘see’. Search for a Pontiac Trans Am on Auto Trader. We have no doubt if you saw the Munster Koach ambling down your local high street, it would do much more than send a shiver down your spine. 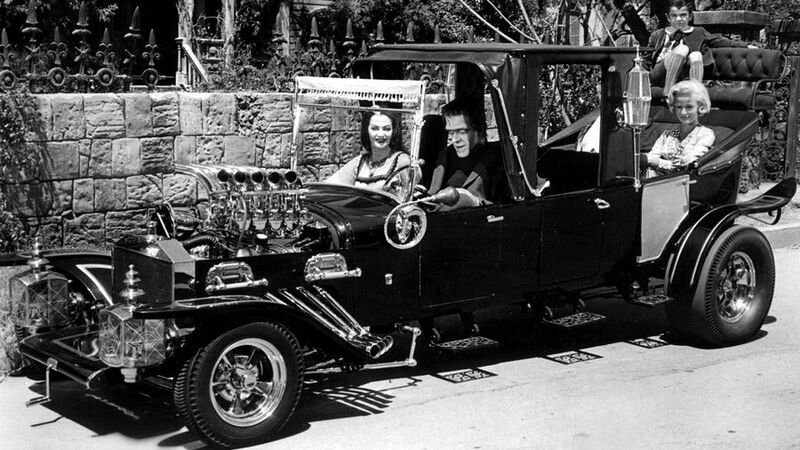 In the 1960s TV series, the Koach was a mix of a hot rod and a hearse, but in fact the car was crafted from three Ford Model Ts, with a V8 engine that was originally destined for an AC Cobra. As a finishing touch, the car had a custom-built body from a hearse, painted in black, and with a ‘blood red’ interior. Things were different back in the ‘70s, and they didn’t come much more different than the weird ‘Wheelie World’ inhabited by Chorlton and the Wheelies. Before you ask, the eponymous hero – a ‘Happiness Dragon’ – was named after the suburb of Manchester. 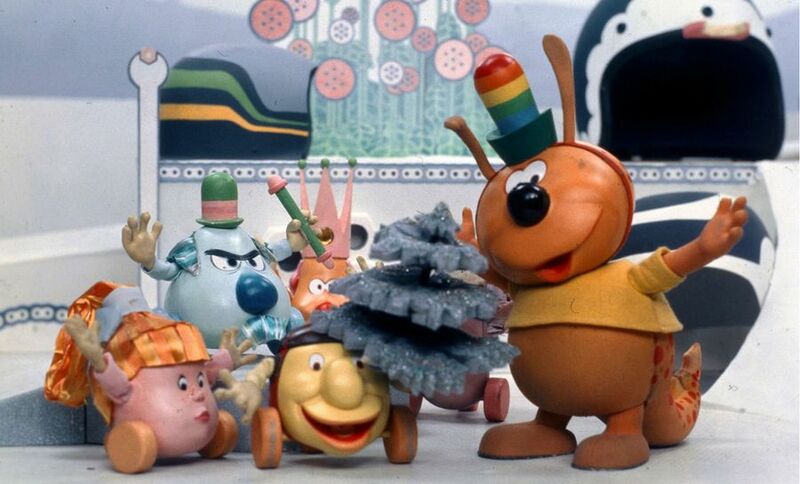 Anyway, whatever they are, for any child growing up in the ‘70s, the likes of Zoomer, King Otto and Queen Doris left a mental scar, especially as they were terrorised by a hideous Welsh witch called Fenella who lived in a super-sized kettle and whose sole aim in life was to make them miserable. We may be stretching the bounds of what constitutes a car, but certainly not what constitutes scary. 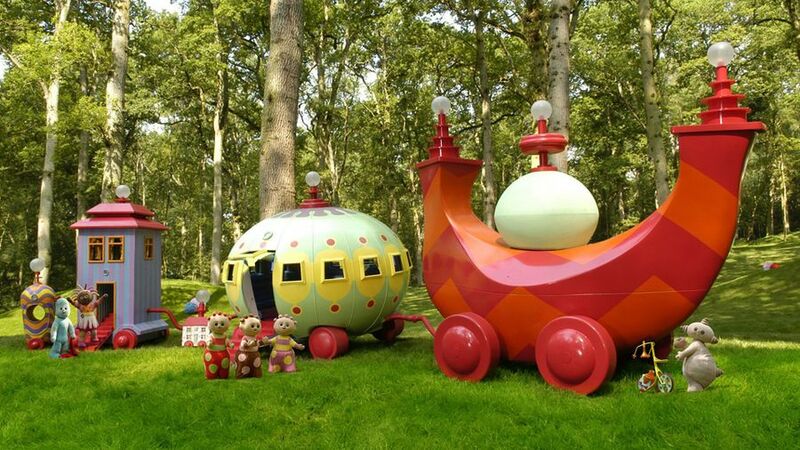 The Ninky Nonk will be familiar to a generation of parents from a programme called ‘In the Night Garden’, in which BAFTA-winning, all-round acting great and lord of the realm Derek Jacobi narrates the everyday lives of characters including Makka Pakka, Iggle Piggle and Upsy Daisy. Then there’s the garishly-coloured car/train mashup that charges around the garden with no driver and no real sense of direction, inflicting a genuinely frightening ride on anyone with the misfortune to be inside. It frequently climbs trees and does loop-the-loop around branches, but the scariest thing is that it changes size mid-episode. In one scene, you’ll see it flying around Iggle Piggle’s ankles, then barely a minute later, Mr Piggle himself will climb aboard something that towers over him. Now that’s freaky.